Vintage Inspired Smoked Topaz Antique Gold combo pendant necklace gift for mother on her special day. A geometric art decorated with smoked topaz crystals with cute dangling flower at the bottom of pendant with matching necklace. 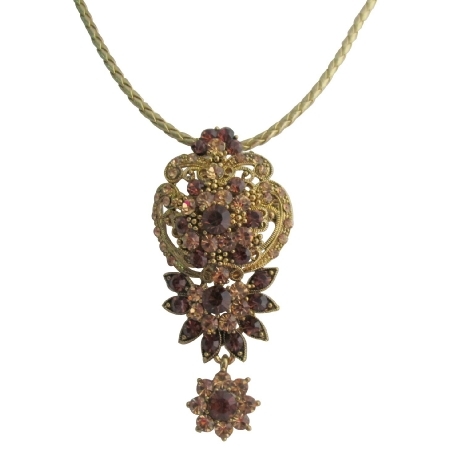 The pendant is adorned by sparkling smoked topaz Crystals excellent quality. Live for antique vintage fashion jewelry perfect piece for you. always give the impression of being thoughtful & expressive.